I was very excited to review Classical Conversations. The level we got to use, since my daughter was already working on letters, was PreScripts Cursive Words and Drawing. The book is $12.99 and has the age range of 5-10 years old. This was a great thing to be able to do with my 8 year old. I think cursive writing is becoming a lost art and I think people need to keep a hold of. I am shocked at the amount of schools that have already taken it out of their studies saying it is not needed. I question how will our children know how to sign their names on important documents? How will they read old historical writings that are in cursive? 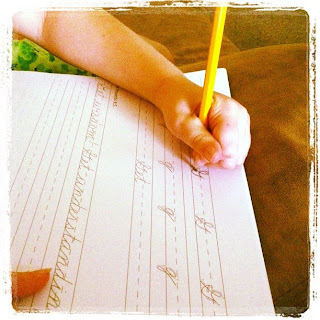 This alone made me really want to make sure my kids know how to read and write in cursive. 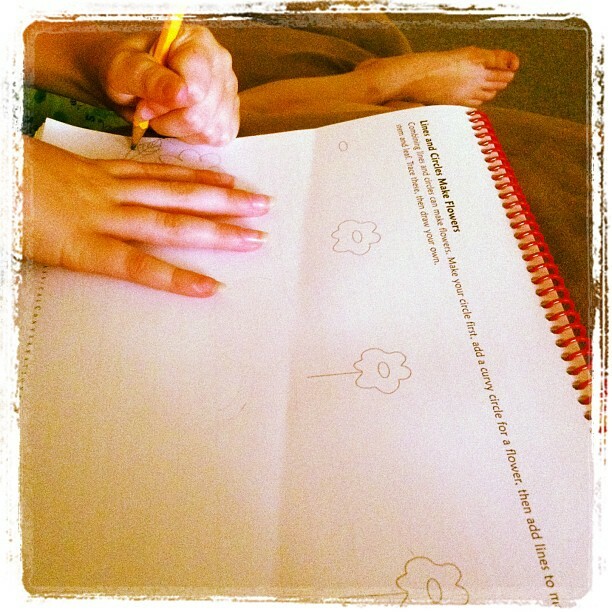 We used the book daily as my daughter has always been very eager to learn cursive and she couldn't get enough of it. There is a level above this that focuses on letter more as well. The book also does numbers as well as harder letter combinations. If you do one page a day there is enough to get you through one full year with this book. We ended up doing more than that some days as she really enjoyed working on it. My daughter is a lefty so we really enjoyed the fact that the spirals were across the top and not in her way when writing. She gets very aggravated at normal books for this reason. I honestly think that is one of her favorite things about doing this homework without fuss. I enjoyed the fact that they get a refresher of the letter before working on to the words. This book has a page with each letter that they can trace and write themselves as a refresher then a word that starts with that letter. Then at the bottom of that page there is a Bible verse for them to copy. The page after each letter is a drawing lesson. It helps I think with the structure of writing as well as giving me a fun incentive to do after each lesson. One of the other perks to this curricula its very easy to follow and is self lead. She was able to work on this on her own and take as much time as she needed to get through each lesson. We will continue to use this and the other versions as well with all the kids.